Businesses have relied on Facebook engagement as a vehicle for customer engagement for years. 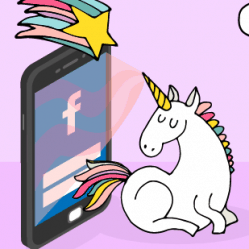 The social media outlet entered the world like a majestic unicorn, helping brands and publishers rocket into stardom thanks to how easy it is to reach out to others using the site. But, recent numbers show that this beautiful, shining creature isn’t as magical as it once when it comes to engagement. In fact, the average number of engagements fell from 340 to 264 in just the first six months of 2017. 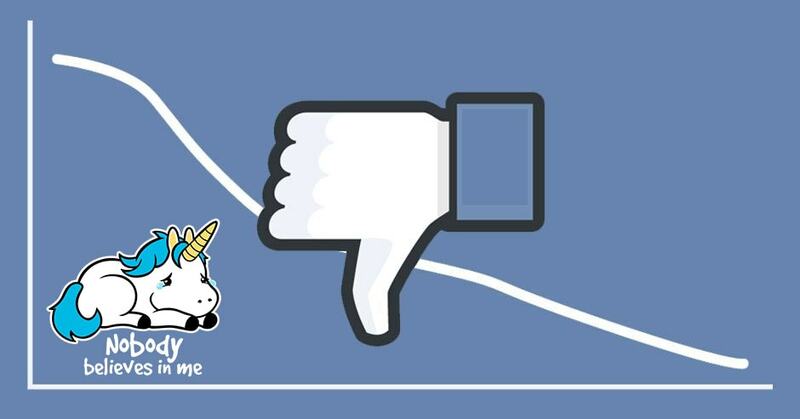 If you aren’t using Facebook right, your unicorn has likely begun to look more like an everyday donkey based on the statistics above. That’s right; the rainbow is fading. 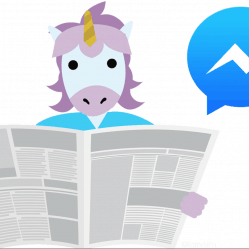 Well, Steve Rayson, the mind behind BuzzSumo, analyzed over 880 million Facebook posts that were added by brands and publishers during the last year. What did he discover? The average number of facebook engagements (such as likes and shares) associated with the targeted content has fallen by more than 20 percent since January 2017 alone. And certain content types are getting hit harder than others. The reasons for the decline in Facebook engagement are debatable. Some may assume that brands are publishers are spending less on these kinds of promotions, but the reverse is actually true. But, it’s possible organic connections through Facebook aren’t occurring as frequently in years prior and paid promotions aren’t compensating for the lack of engagement. Research shows declines in organic feedback reach ranging from 42 to 52 percent. The amount of available content on Facebook is also soaring, with statistics saying the average feed holds 1,500 different stories. Facebook has also adjusted their algorithms, affecting what content is actually displayed for users. In fact, even the Chicago Tribune has trouble engaging with readers, claiming one-third of their posts aren’t surfacing thanks to algorithm changes. Image and link posts formed the foundation of Facebook success during the heyday of visual content marketing, which was not too long ago. The images were often novel and generally drew the eye, and people were willing to click to learn more about a wide range of topics. Now, images and links aren’t attracting much attention, with images losing ground the fastest. It’s true that the Facebook engagements algorithm impacts what kind of content is displayed, and it may be partially responsible for the declines seen since January. However, the shift from 480 average engagements in July and August of 2016 to 340 in the time from April to June 2017 could indicate more is going on. In comparison to other forms of content, video is leading the way. While other areas saw declines in the number of pieces published, video posts rocketed up by 10 percent. The average number of engagements with video is notably higher than other categories too. At its lowest point, which was recorded in May 2017, the average number of engagements still reached 525. And that shouldn’t be a surprise. Facebook has put a lot of focus on video, including the addition of Facebook Live video feeds, and many users are gobbling it up. But most brands and publishers don’t use as much video as they could, as it currently only represents 10 percent of the total 880 million posts BuzzSumo explored. 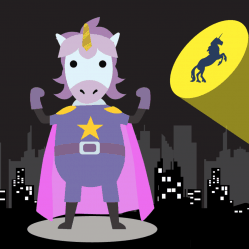 Neglecting video options is like ignoring a unicorn standing in the middle of the room. And, in this case, this unicorn is the king. Heading to Facebook and other social media sites in general once made brands and publishers feel like pioneers. Not everyone jumped on the bandwagon at the beginning, so the initially empty landscape was primed for the taking. Now, using Facebook is standard practice. It’s the equivalent of using a donkey to climb the Grand Canyon; seemingly everyone’s doing it. And the rise of paid Facebook ads made user newsfeeds crowded. What does this mean? It means your organic connections are getting shoved around in user newsfeeds, and they could get buried due to the sheer volume of posts that are presented to a person. So, paid ads are the answer then? Maybe, but maybe not. As mentioned before, this is something a lot of brands (including Facebook fake news sites and pages) are using , so you’re competing for limited ad space. Additionally, Facebook users aren’t always happy about seeing ads. A recent survey showed that 38.5 percent of users are “indifferent” about the presence of ads, but a full 30.2 percent found them “irrelevant or annoying.” And, a full 15.3 percent of respondents said they didn’t even notice they were there. The survey data was presented in a positive light, as 26 percent of those who clicked an ad did make a purchase, but the number of indifferent or annoyed users is worth noting since it may not be a path to higher facebook engagement numbers. 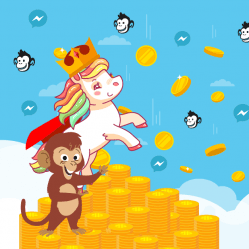 The first step to increase the level of engagement is to jump on the back of the latest unicorn: video. Video is driving a lot of action on Facebook, so becoming friendly with the form of content is key. Otherwise, you need to make sure your content provides users with obvious value right off the bat and has a headline that draws them in. Now that Facebook is full of posts from brands and publishers, you have to work harder to make a positive impression and get users engaged. The days of simply cruising are long gone. So, stable the image and link donkeys and saddle up your video unicorn. It’s time to ride.